Built in 2008, by the Foss Maritime Shipyard of Rainier, Oregon (hull #11) as the Carolyn Dorothy for the Foss Maritime Company of Seattle, Washington. She was the ninth Dolphin class tractor tug designed by Robert Allan Limited of Vancouver, British Columbia. For the Foss Maritime Company of Seattle, Washington. 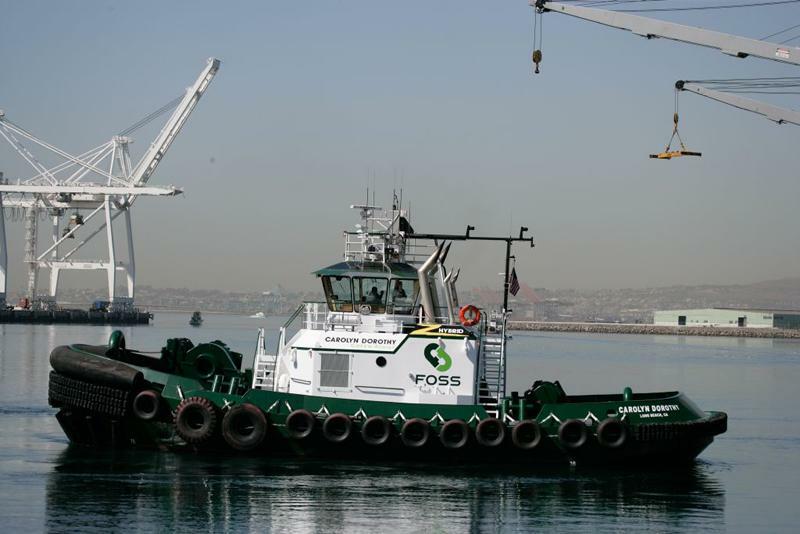 And, first tug to feature a hybrid propulsion system. The hybrid system in the Carolyn Dorothy. Was conceived by Jason Aspin of Aspin Kemp and Associates (AKA) of Montague, Prince Edward Island. And, John Eldridge of XeroPoint Energy (XPE) also of Montague, Prince Edward Island. Powered by two, Tier II compliant, Cummins QSK50 diesel engines. With Rolls Royce US205 z drives. For a rated 5,080 horsepower. Her electrical service is provided by two, Siemens Motor generators. Driven by two, Cummins QSM11 diesel generators. With one hundred and twenty-six, gel cell, lead acid batteries. Her towing gear consists of a Markey DEPGF 42 winch on her bow. Outfitted with 500(ft) of 8.5(in), plasma line. And another Markey DEPGF 42 winch on her stern. Outfitted with 300(ft) of 6.2(in) plasma line. The tug's power system can accept regenerated power from the winch. The DEPGF 42 hybrid winch, is configured to generate power back into the batteries when the winch is rendering, the motor acts as a generator.